I’m always thrilled when people use my books and videos and to make something they love. 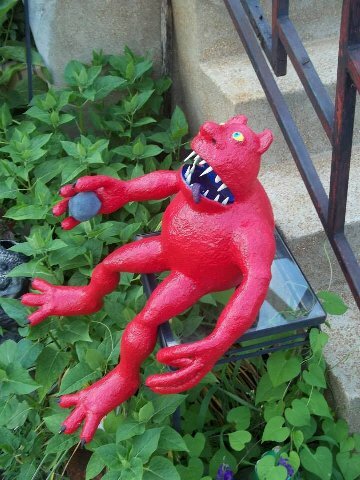 Here are more photos sent to me by people doing paper mache. 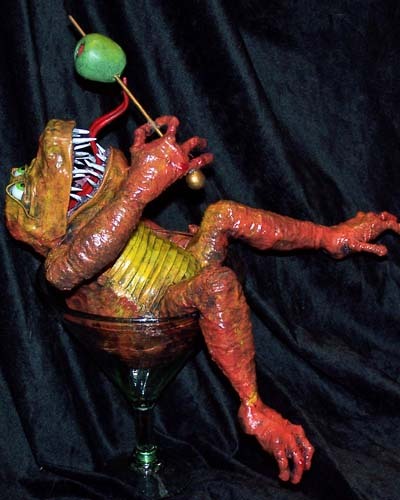 If you have paper mache art that you would like me to display just send them to me at dan@gourmetpapermache.com. Enjoy! I have to start with Jack. I love this photo. 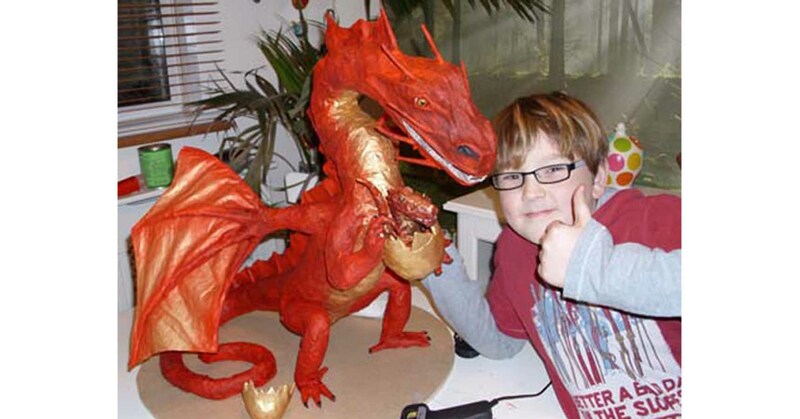 After watching my Paper Mache Sea Dragon video he decided to make his own mother dragon with baby. I think he did a magnificent job! 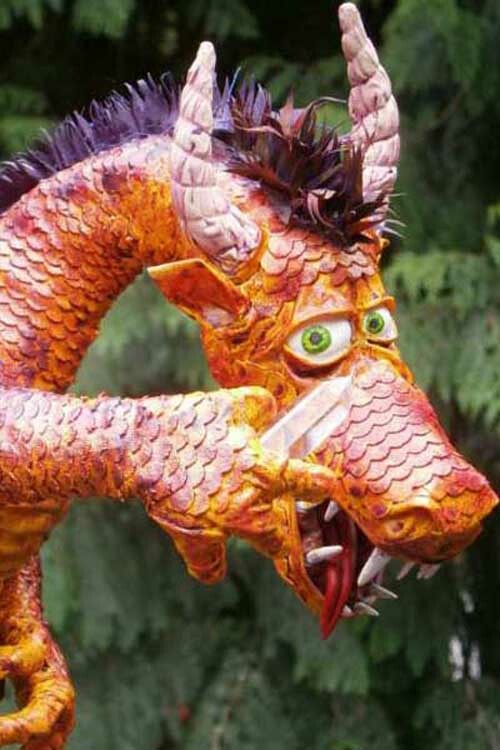 Below is Ailyn Nannig’s paper mache dragon. Look at the size of this! What a great piece! It deserves a close-up. So cool! My friend Janet is an Advanced Calculus teacher by day. 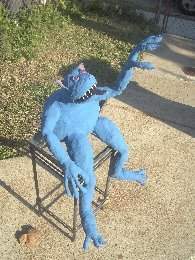 By night she makes monsters! Both are important life skills! 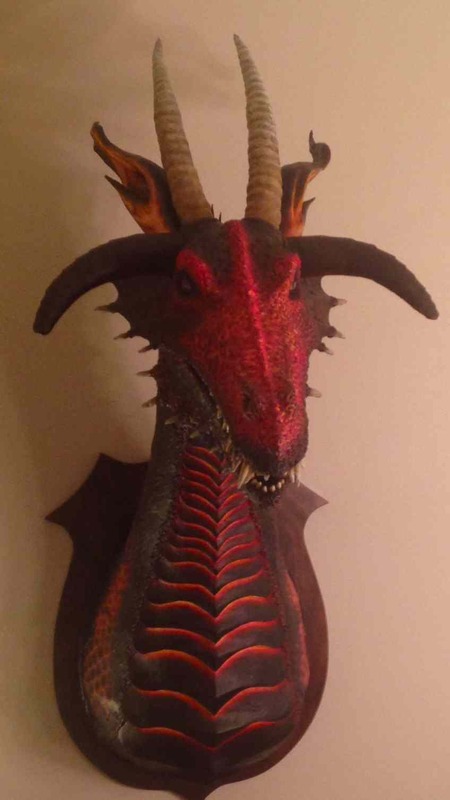 She just finished her first dragon trophy. Excellent! 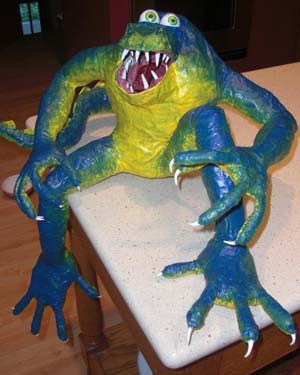 She got a hold of my “Make Something Ugly” book. 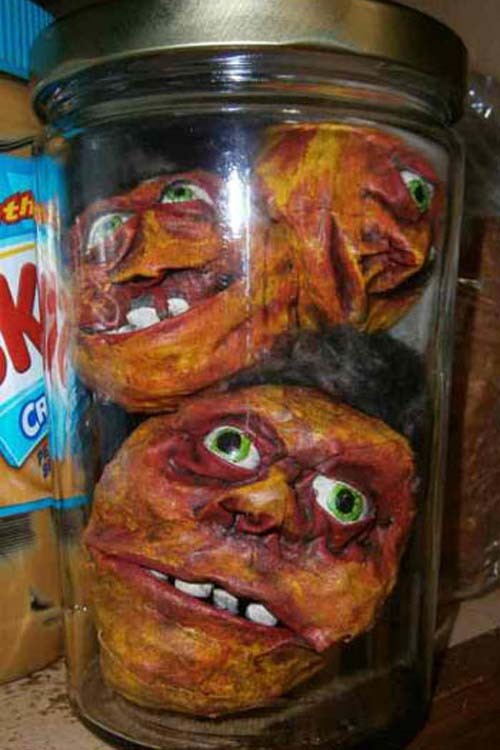 It described a project with heads in a jar. Janet decided to make some. 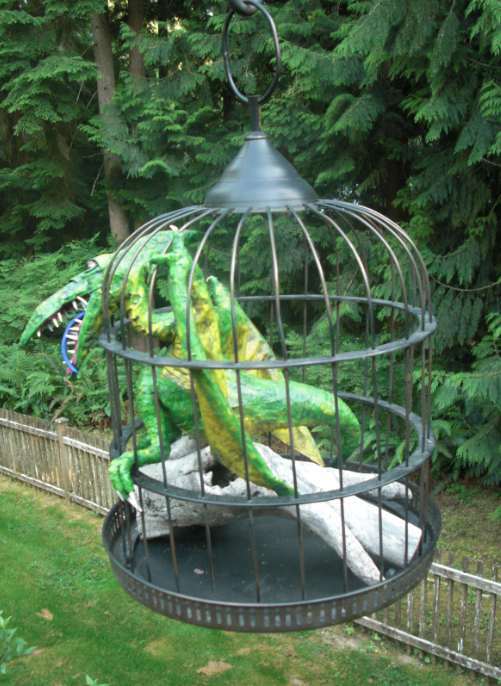 Janet’s pterodactyl in a cage. Janet has been at it again. 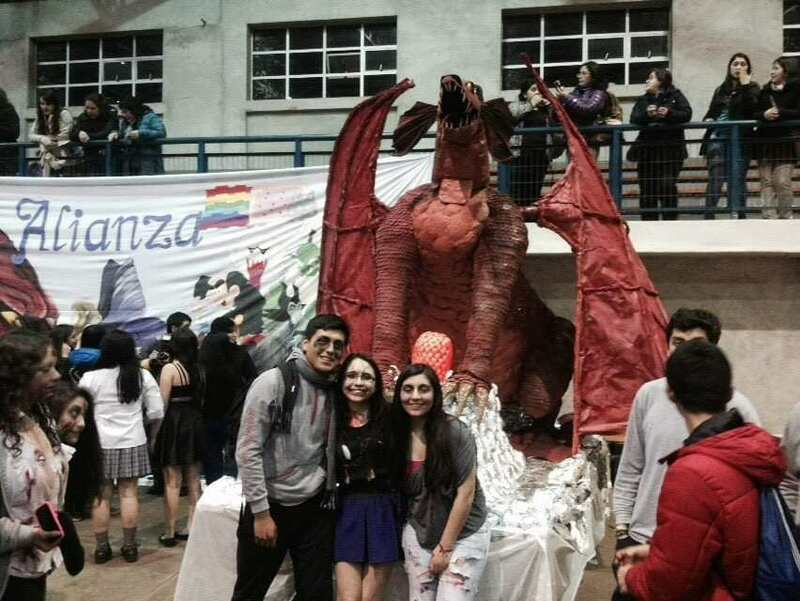 This time a three headed dragon. Photos just don’t do this justice. 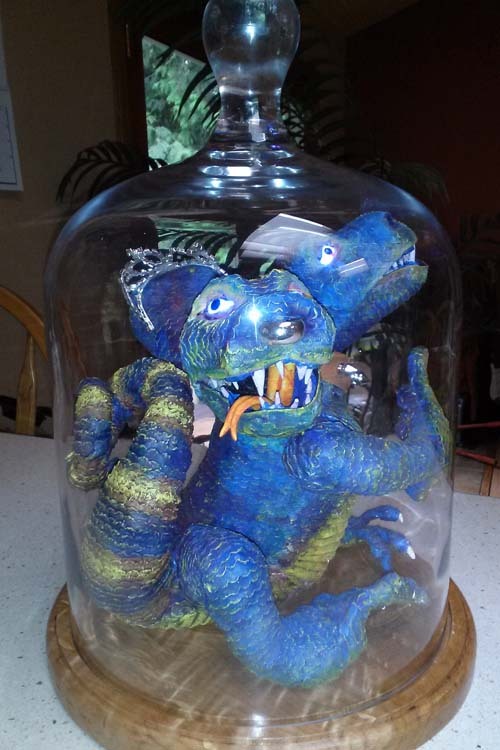 She designed circuitry for this so that the eyes light up in all three heads, and they also cycle through different colors! Just amazing. 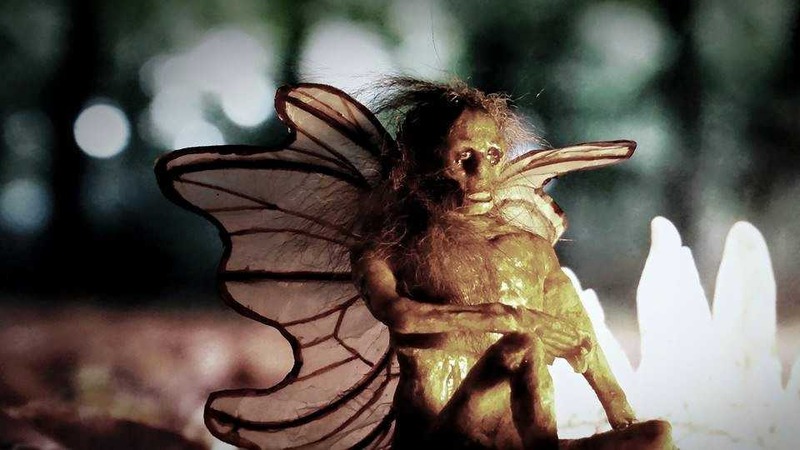 Below is Robert Bunker’s paper mache “expired ouphe” (mummified Fairy). Very cool! 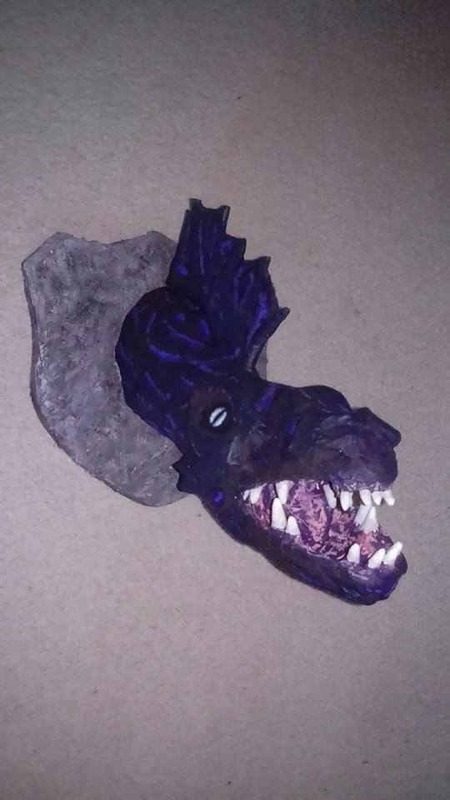 This is Trevor’s first paper mache dragon head. Very nice! 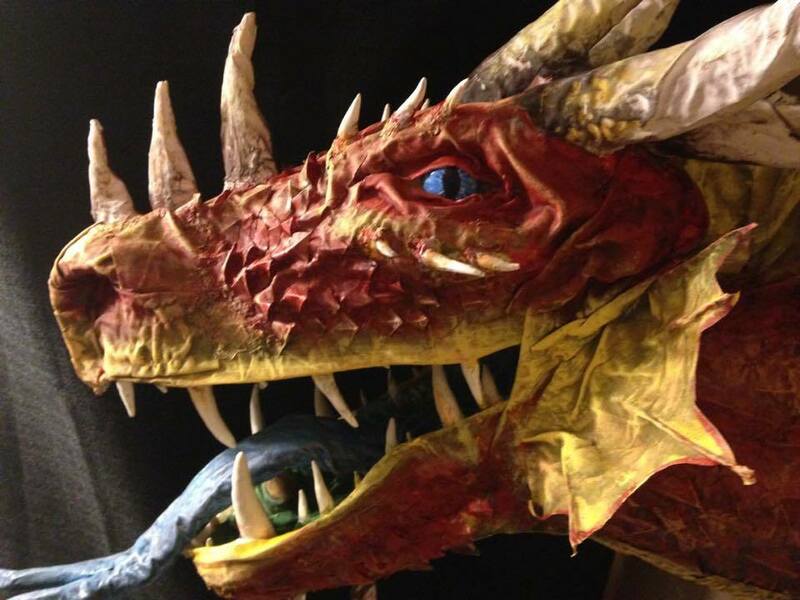 And check out the paper mache costume Rebecca Brissette’s made for her horse! 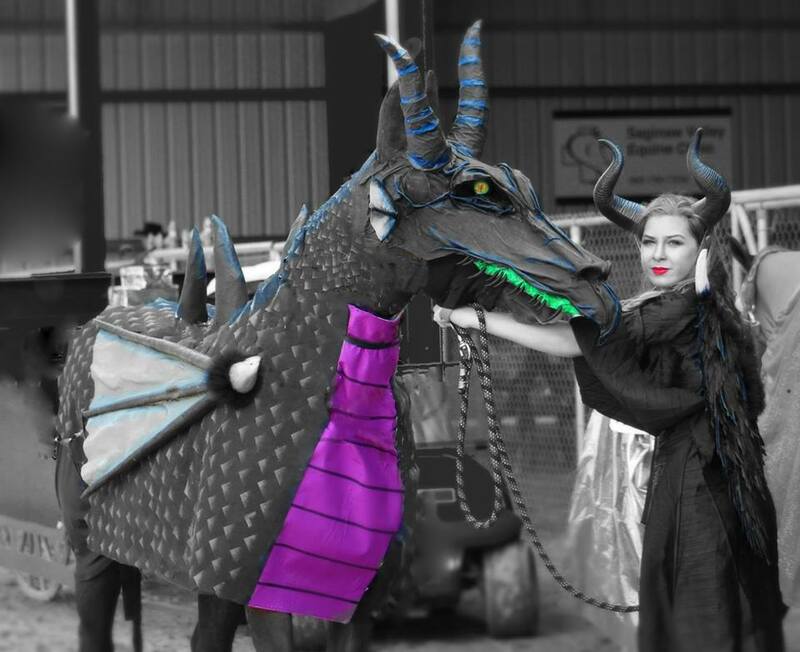 Yes, it’s Maleficent! Amazing. Love her costume too. And I love the photo. 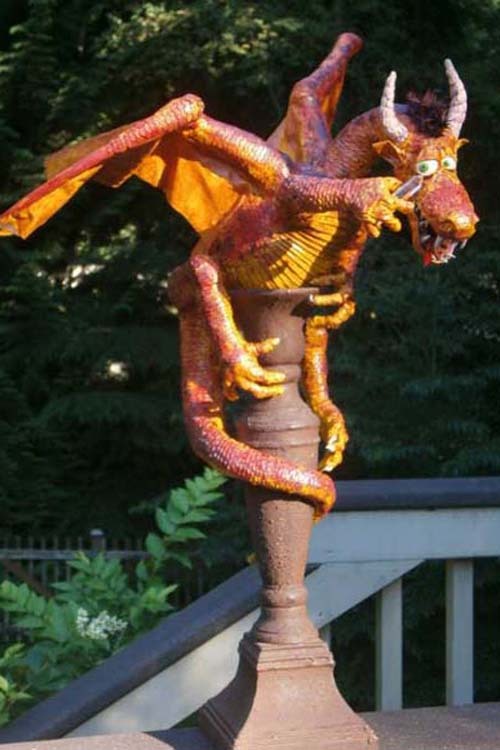 Below is Miguels’ paper mache dragon trophy. 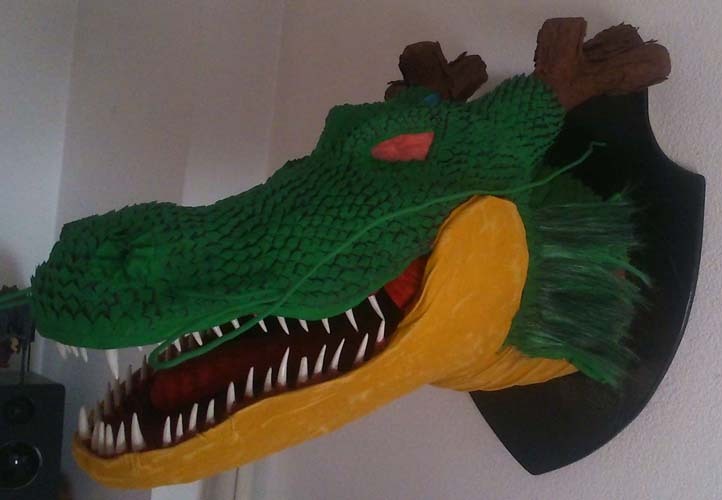 He named it “Shenron”. 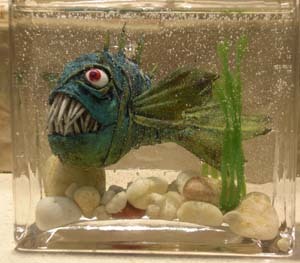 The eyes light up as well. Cool! 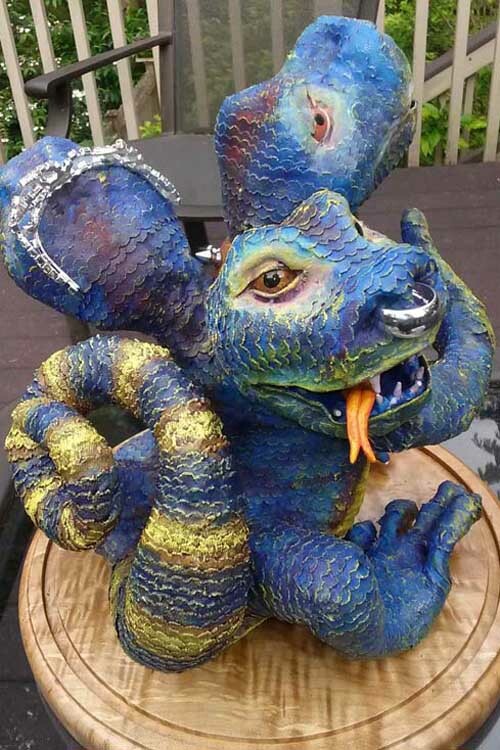 This is different…. look at Bryan’s paper mache “Santa Cruz Skate Hand”. Very nice! 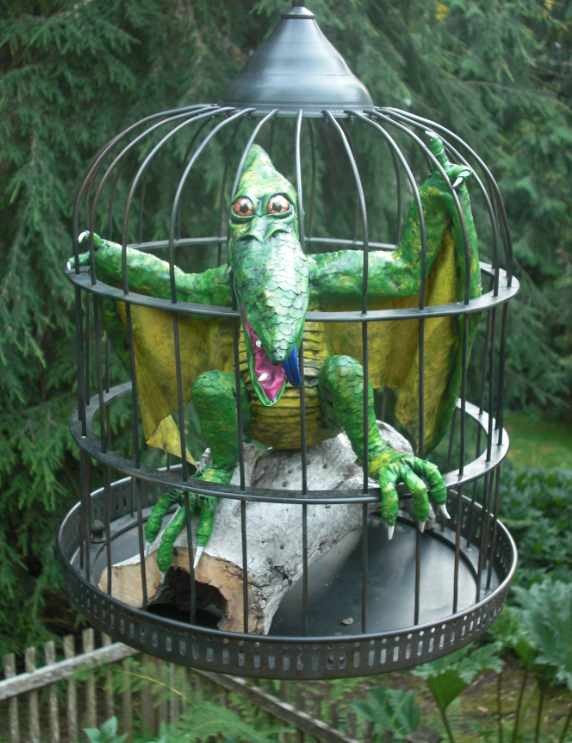 Here is another of Bryan’s paper mache art pieces. 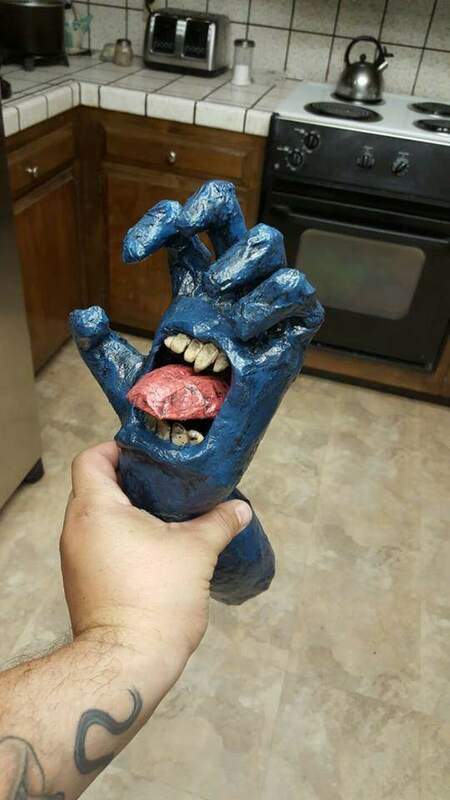 Love the eyes in the hands of this monster! 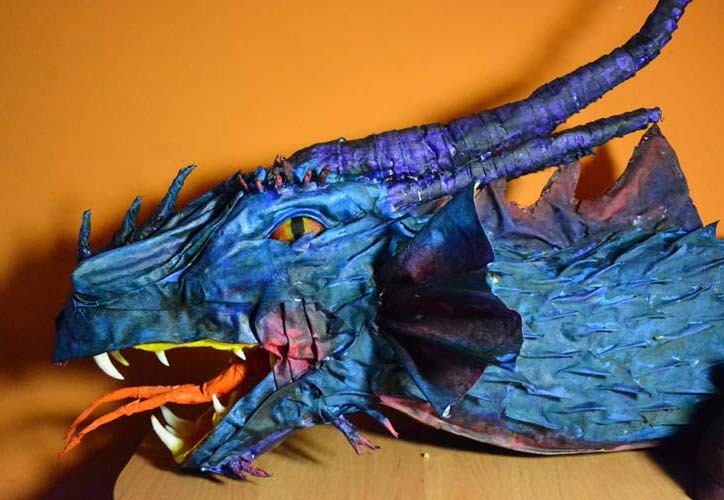 Here is another great paper mache dragon trophy, this time made by Casey. Excellent job! 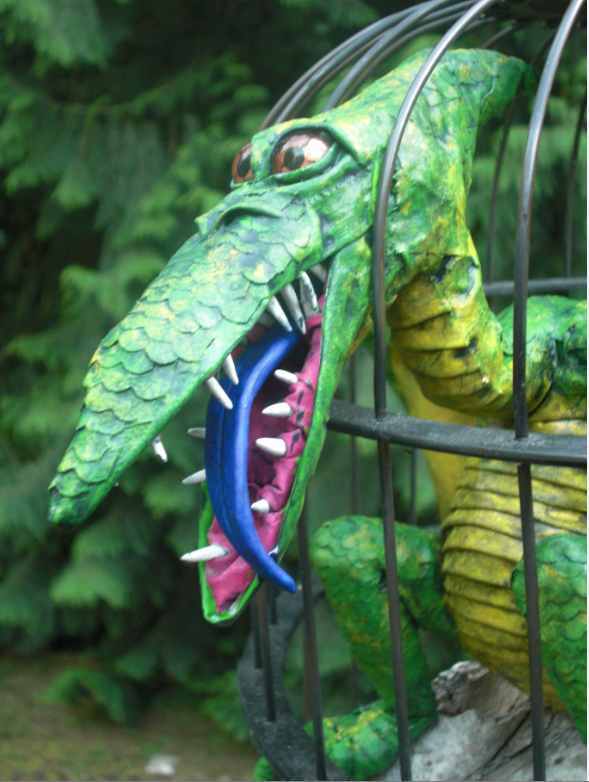 And here is one of Don’s Screamers. 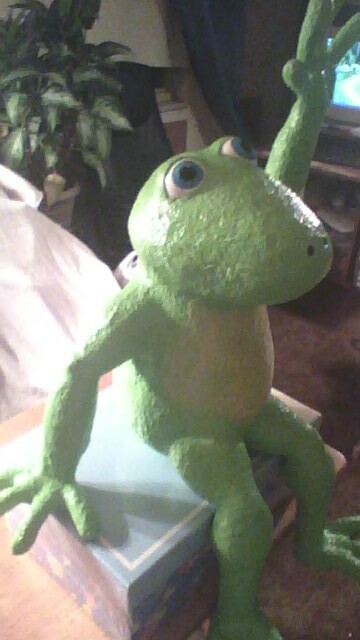 And Don’s paper cache “Frog.” Very cute! It’s the Christmas season and Don made an adorable little snowman for his niece Layla. 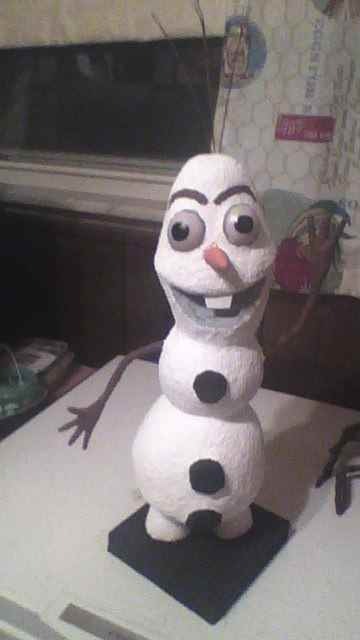 His name is “Olaf.” Wonderful gift. 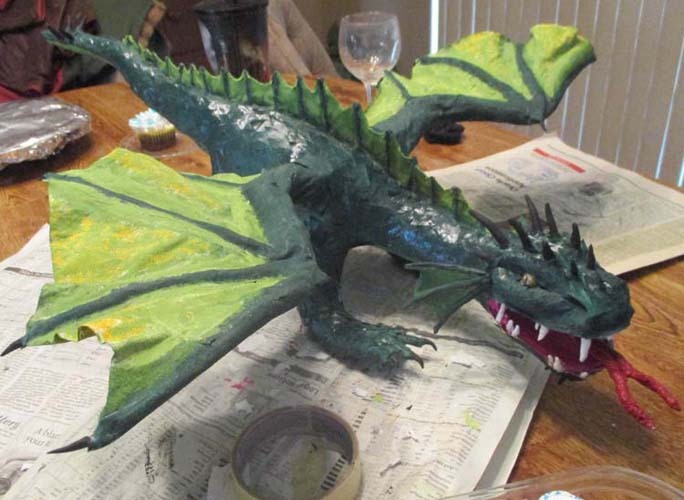 This is Shawn’s paper mache dragon trophy. Beautiful! 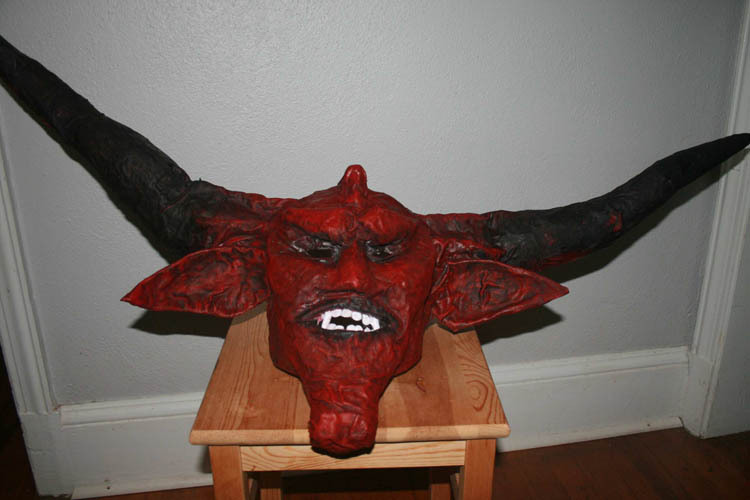 Below Bryan Kyle’s paper mache mask. 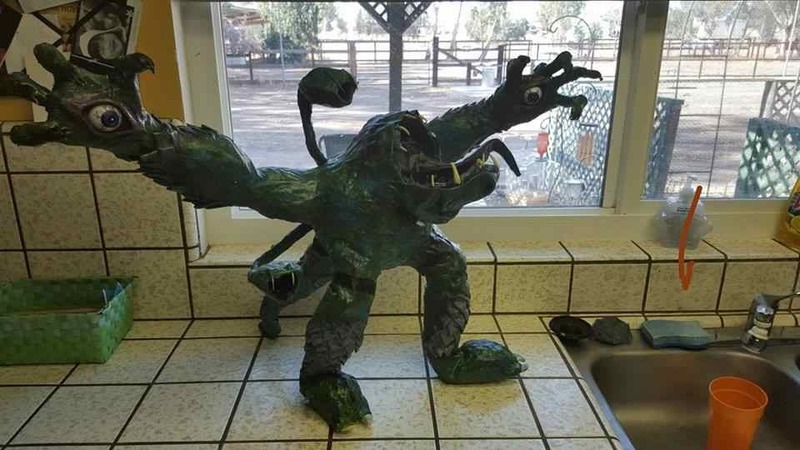 He just finished it for Halloween. Wonderful! Kamila Plicha is from Poland. 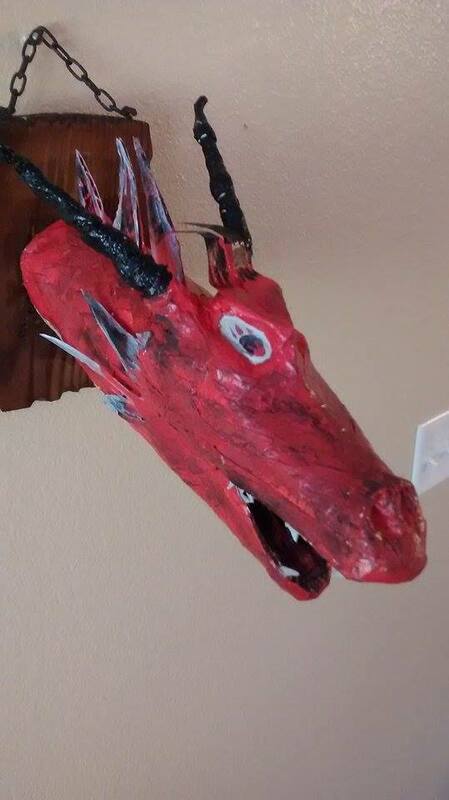 Here is her first paper mache dragon. Love the colors! 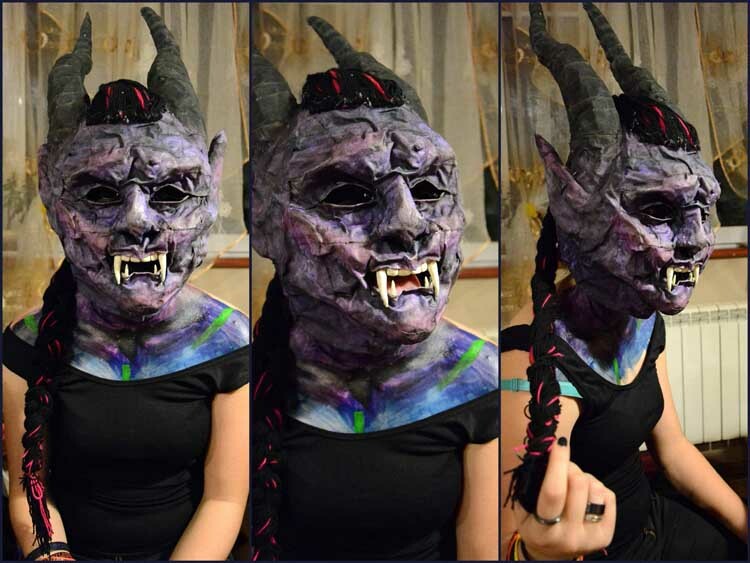 Kamila also made this fantastic mask! Lovely! 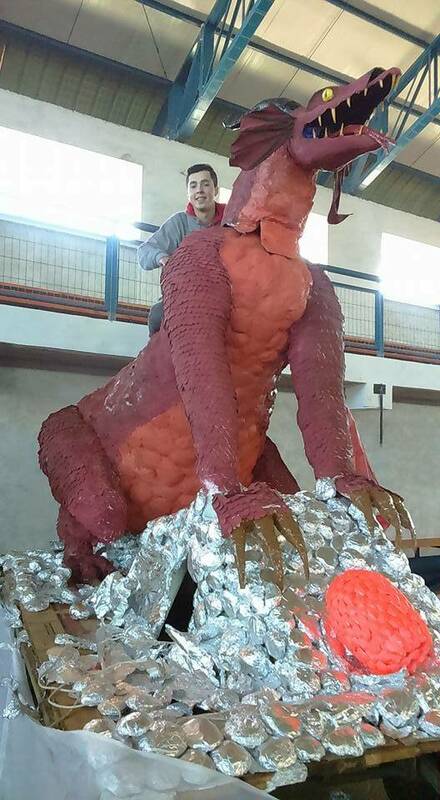 Here is Seth Bleeker’s paper mache dragon. Very nice job! 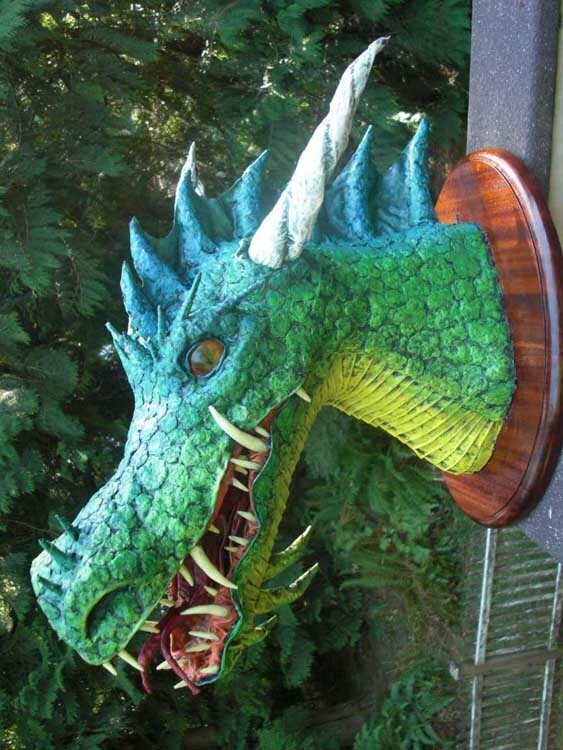 Here is Paul Disdle’s paper mache dragon trophy. Very nice job!